The latest criteria for great SEO necessitates that your content not only match the user’s query, but demonstrates engagement with your audience and receives social shares for the page. For higher education that means it’s important to consider your audience – your prospective students and their families – when you add content for student recruitment. Better content is more likely to engage them and be shared by them – and that means your SEO ranking will be more likely to improve providing more opportunities for more prospective students and families to see you. Here’s an infographic highlighting 6 tips to get you started in making your website resonate with both searchers and search engines. 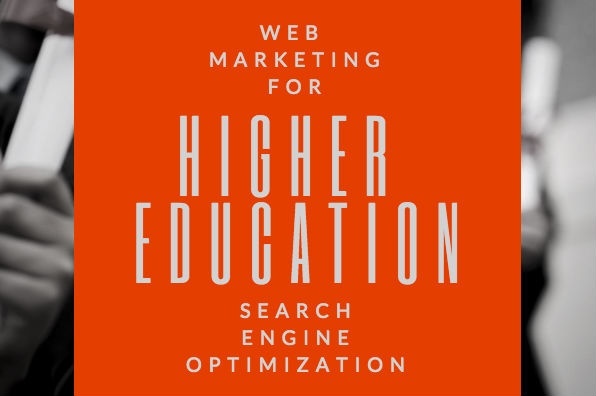 If you’d like to learn more about these tips, see the full blog post, SEO for Higher Education. We believe in this idea of continual fine-tuning so much that we named our company VONT, which means to achieve exponential improvement in incremental steps. It is our core belief, and the reason why we are not simply a web design company or simply a digital advertising agency, but rather a long-term, single source partner providing a comprehensive array of web development and digital marketing capabilities for a variety of areas including higher education digital marketing.